Our Ooma Premier service just got even better with the addition of unlimited calls to landlines and mobile phones in Mexico. Free calling to Mexico joins the many advanced Premier features like blacklisting telemarketers, 911 text and call alerts, voicemail-to-email, multi-ring, call screening and more. 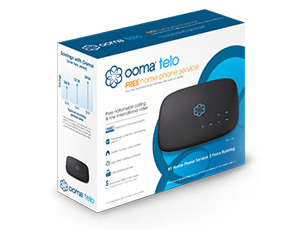 Ooma Telo customers place tens of thousands of calls to Mexico each month and now premier subscribers can enjoy staying in touch with anyone in Mexico for free. In addition to free calling to Mexico, Premier subscribers already enjoy unlimited calls to landlines and mobile phones in Canada. For customers who call internationally, Ooma offers everyday low rates on a per-minute basis to countries worldwide, and for customers who frequently call higher cost destinations Ooma’s World Plan for $17.99 per month offers unlimited calling to over 60 countries worldwide. • Nest Alerts makes an Ooma customer’s home safer by alerting them on their mobile device whenever their Nest Protect: Smoke + Carbon Monoxide™ alarm detects the presence of smoke or fire. • 911 and the 911 Text Alert feature, provides added peace of mind because it can accelerate critical communications during a home emergency situation, especially for those most vulnerable, like children and the elderly. The chances of 911 dispatchers being able to find a victim based on their cell phone’s GPS can be as low as 10% in some parts of the country and a smart home phone like Ooma give parents peace of mind knowing dispatchers will reach their homes quickly in the event of an emergency, all without the high cost of standard landlines. • Call blocking feature protect consumers against pesky spam and robocalls, even those not blocked by the National Do Not Call List, like charity and political calls. With the 2016 Presidential Election underway, Ooma expects consumers to receive a record number of these annoying robocalls over the next several months. 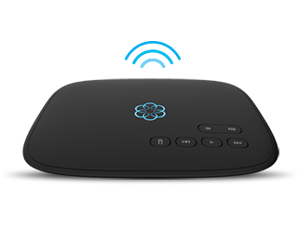 Curious to find out what other tricks Ooma Telo can do? Click here to find out more.